If you’re considering buying furniture, you’re probably wondering what’s the best way to finance furniture. Furniture can be an expensive purchase, so people don’t always have the cash available to buy what they want. Instead, they turn to furniture financing. Unfortunately, financing furniture isn’t usually a good idea. First, we’ll cover the ideal way to purchase furniture. But, if you do have to finance furniture, we’ll share the best places to finance furniture and a few options to avoid, like the Rooms to Go credit card. The best option to pay for furniture is paying for it up front. Unfortunately, furniture is expensive and often costs hundreds or thousands of dollars. Most people don’t have that much money set aside. Rather than give in to immediate gratification, you should do your best to avoid purchasing furniture on financing. Instead, save money in advance of your furniture purchase so you can pay for it in full when you buy it. Buying in cash gives you a great sense of satisfaction. It also helps avoid the dread of the monthly furniture payments after the newness wears off. But how in the world can you save enough to pay for furniture in cash? It’s easier than you think. In fact, saving could mean you could afford nicer furniture. Rather than paying interest on a furniture loan or other furniture financing, you can earn interest on the money you set aside to save for your furniture. Instead of sending a monthly payment to your furniture payment, send a monthly furniture payment to a dedicated savings account. Personally, I recommend using an online savings account like the Savings Builder account offered by CIT Bank. You can check out our CIT Bank Savings Builder review here. Online savings accounts keep the money separate. They also help you avoid the temptation to spend the money when times get tough. You should earn a much higher interest rate with an online savings account than your local bank or credit union in most cases, too. This makes them an ideal place to store your emergency fund, too. Once you have enough money in the savings account to buy the furniture you want, go get it. You won’t have to worry about interest, paying off the loan before deferred interest kicks in or a monthly payment after you bring the furniture home. You don’t have to pay cash, either. If you want, you can sign up for a credit card to earn a signup bonus or rewards on your purchase. Just make sure you pay the card off in full. You’ll be able to do this as soon as you get the statement with the money you set aside in your bank account. Furniture financing offered by furniture stores, such as the Rooms to Go credit card, usually isn’t the best idea. These financing options may promote no interest payments, but most of them could really hurt you if you’re not careful. Typically, furniture financing is offered through a deferred interest credit card. Deferred interest credit cards won’t charge you interest, but only if you follow the terms and conditions exactly and you pay the balance off before the promotional financing period ends. If you mess up and break the terms and conditions by making a late payment or just barely miss paying off your furniture before the promotional interest period expires, you’ll be in for a shock. Deferred interest means that the interest is put off. That doesn’t mean there is no interest. Instead, the credit cards quietly calculate how much interest you would pay at the usual rate each statement period. If you mess up and violate the terms or don’t pay the card off, all of that interest they calculated will be added to your account balance. That’s right. They’ll add interest for the entire period you weren’t paying interest. These cards may have APRs as high as 29.99%. If you financed your furniture for five years, that’s five years of interest at crazy high interest rates. You’ll need to evaluate each furniture store credit card, including Rooms to Go financing, to see if the offer is a deferred interest offer or a legitimate 0% introductory APR on purchases offer. Most of the time, it’s a deferred interest offer. Due to the numerous ways you could trigger the deferred interest, I highly recommend avoiding these offers unless you have very strong systems in place. But what if you absolutely need furniture and don’t have the cash to pay for it today? You still have options. First, make sure you’re only buying what you absolutely need. Buy a $100 table, not a $1,000 table. Then, save until you can buy something nicer and sell the old furniture. This reduces the chance you will make a mistake paying for the furniture that could cost you a huge amount of interest or deferred interest. Next, look at all of your furniture financing options to find the best furniture financing option for your situation. Here are a few places to look. 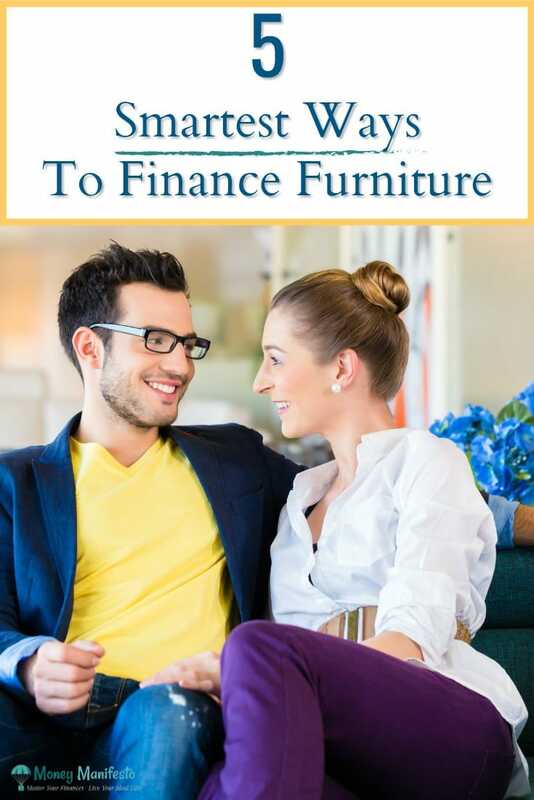 Yes, furniture stores that finance are an option you should consider if you’re absolutely certain you can pay the balance off ahead of schedule. That said, there are other options that may be better. Instead of financing at a furniture store, you should consider credit cards that offer promotional 0% introductory APRs on purchases. These cards shouldn’t charge deferred interest but read the terms and conditions to make sure. Instead, you pay 0% APR on your purchases balance during the promotional period. If you still are carrying a balance once the promotional period is over, you’ll only pay interest on the remaining balance. This is much better than deferred interest furniture financing, but the promotional periods usually aren’t as long. Two cards you may want to consider offer both 0% introductory APRs on purchases as well as credit card rewards on your purchases. First, the Capital One Quicksilver card offers a 0% introductory APR on purchases for 15 months and a $150 cash bonus after spending $500 on purchases within three months of opening the account. There is no annual fee and you’ll earn unlimited 1.5% cash back on all purchases. 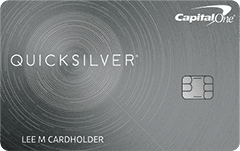 Click here to apply for the Capital One Quicksilver credit card. 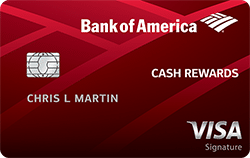 Next, the Bank of America Cash Rewards credit card offers a 0% introductory APR on purchases for 12 months. It also offers a $150 online cash rewards bonus after spending $500 on purchases in the first 90 days of opening your account. Additionally, you can set your 3% bonus cash back category to home improvement / furnishing to earn 3% cash back on up to $2,500 of purchases in bonus categories in a quarter. This card also has no annual fee. Click here to apply for the Bank of America Cash Rewards credit card. I am not a fan of personal loans. That said, I’d rather you take out a low interest rate personal loan for a short period to pay for necessary furniture than risk paying 29.99% retroactive deferred interest. Short personal loans will result in higher monthly payments, but they’ll also be paid off much faster than a drawn out deferred interest financing promotion. You can use sites like LendingTree to compare multiple personal loan offers with one application. This saves you time and allows you to find the best loan for your situation. I’m also not a huge fan of borrowing money from friends or family. Instead of borrowing money, consider asking friends and family if they have any old furniture they’re looking to get rid of. You might be able to score an awesome deal on used furniture that will hold you over until you can save enough to pay for the furniture you want in cash. You could also ask to borrow money from friends or family, but realize you’re risking your relationship if you miss a payment or spend money in ways they wouldn’t approve of before you repay the person. Additionally, you’ll want to list both the benefits and risks of each type of financing. For instance, deferred interest options could result in massive charges if you make a simple mistake and forget to make a payment one month. At the same time, these can offer extremely long financing periods with zero interest. Once you have this list of information, pros and cons of each payment type, it’s simply a matter of deciding which option best meets your needs. Even though 0% furniture financing results in no interest paid, you’re still stealing from your future self to make purchases today. Here’s a post sharing why I think 0% furniture financing is for suckers. What do you think is the best place to finance furniture? Is there a particular store that offers the best furniture financing or do you agree that other options are usually a better idea? Let me know your thoughts on interest-free furniture financing in the comments.